Can you believe Thanksgiving is only a couple weeks away? I seriously don’t know where the time goes. How about you? 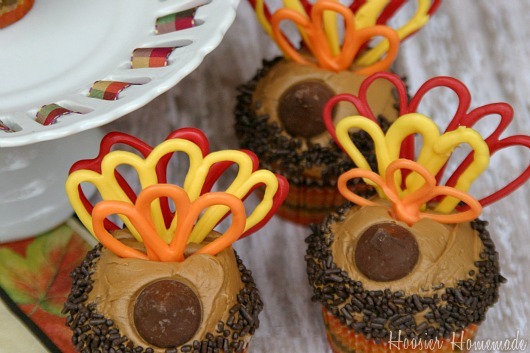 We have some fun Thanksgiving Cupcakes planned to share with you, and these fun Turkey Cupcakes are just the one’s to kick off the holiday. With their simple design they won’t take long to make and are perfect for the kids and can be enjoyed by all. 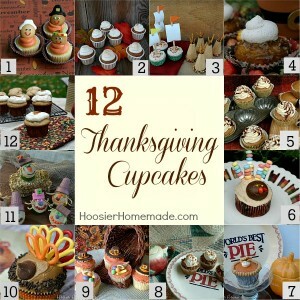 These cupcakes would be a great addition to the kids table at this year’s Thanksgiving celebration, you can even use them as a nice edible centerpiece if you can keep everyone away from them…including the adults! Oh, I have never seen anything like these before. They’re fantastic. 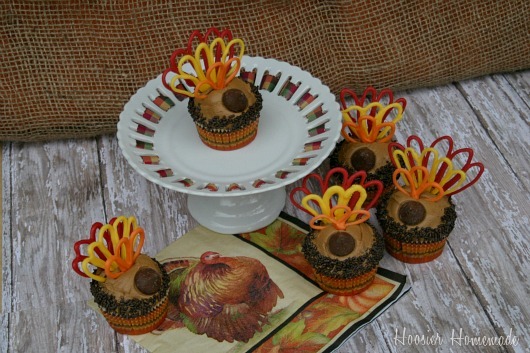 Thanksgiving is not big in the UK, but these will certainly make a tasty treat. They’re fab. Precious… my kiddos will want us to make these!!! 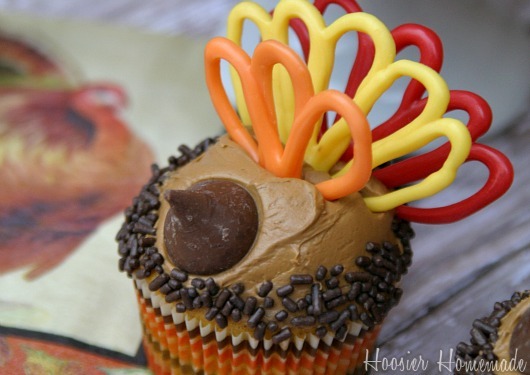 These Turkey Cupcakes are so cute! Great idea! Those are too cute!!! Love them.